Home / Opinion / How exemplary was HUGO CHAVEZ? How exemplary was HUGO CHAVEZ? Days after Venezuelans gathered widely sobered with great emotions bursting out from different parts of the country, most especially in Caracas, in a bid to mourn and also to pay their last respect for their late president, Hugo Chavez, who died of a cancer illness, there is still certain uncertainties in respect of the state in which the late president left the oil-rich country. Even as the mantle of leadership now falls on the vice-president Nichola Maduro, no one at the moment can as a matter of fact fathom where the country heads for. In spite of the fact that there have been several calls across the globe for world leaders to judiciously emulate the exemplary leadership of Hugo Chavez since his demise, what is still not conspicuous is the genuineness of these calls. It could be recalled that world leaders both friends and foes of Chavez, political opponents and even those who are not familiar with Venezuela's politics before now, had once described him as an imperialist. But here they all are, testifying and eulogizing a man who has been regarded as being tough and controversial. At his core, Chavez remains a man who is generally addressed as having come from a little and used his unique talents and gifts to try to lift up the people and community that reflected his impoverished roots. Over the past few days, this has been the picture being painted about Hugo Chavez. A picture that emphasizes how good he was to the poor people of Venezuela, and how he had always been one of their saviours of all time. Convincingly, there is more to Hugo Chavez than what has been painted of him. It is also a rare truth that many of the foreign sympathizers have decided to applaud the Late Latin American president under pretence. This could be owing to the fact that they are aiming at re-establishing a diplomatic relationship with the new leadership in the oil-rich country. Even some of his critics have done so diplomatically without wanting to shatter their opportunities of allying with the present day Venezuela which many still believe is still very magnetic and identifying with Chavez's policy. No doubt, many of these foreigners have been victims of his nationalization policy called Bolivarian Policy, which he used to shoo foreign companies in the country. With the recent razzmatazz, the question would then be hinged on what exactly people speak of Hugo Chavez. To an average Venezuelan, Hugo Chavez remains an icon of development; a man whose heart was so close to his people; a fighter for the survival of the poor people of Venezuela. Through-out his days as the president of Venezuela, he was described as being single-minded, particularly towards economic equality of Venezuelans. His enduring and positive legacy is his shattering of the country's peaceful co-existence with poverty, equality and social exclusion. He was a leader who gave the poor a voice and sense of dignity which had never been enjoyed from previous governments in Venezuela. Even many of his critics subscribe to these facts. Born on July 271954 in Zabaneta into a family of local school teachers who were by then very poor, Chavez’s humble beginning led him to stay with his grand-mother from where he joined the military at age seventeen after his high school. He was later to come into lime-light when in 1992. He, together with a group of young military officers, called the Revolutionary Movement of Bolivarian, participated in a coup to oust President Carlos Andre Perez's corrupt government. Unfortunately, the coup was put-down and Chavez arrested. He was jailed but released after two years. He had his debut in 1998 when he ran in the presidential election against the two major political parties in Venezuela as at then, under a new political party he had formed. He received sympathetic votes from Venezuelans who believed his ideology was tailored towards the betterment of the poor. And because of this, he won the election and became the president of the country, which he was later to rule for fourteen years. 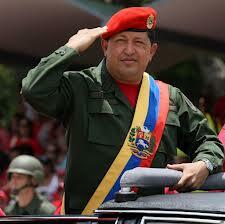 Chavez’s struggle and love for the poor people of Venezuela would not stop. This he demonstrated in the seizure and re-distribution of lands from the rich and even those that belonged to foreigners, to the poor. He was ready in his determination to make sure that the poor people enjoyed more than they had suffered before in the past. Equality and bridging the gaps between the rich and the poor was his major concern. If possible, Hugo Chavez would have been making daily meals ready on the table of the people. During his reigns as president, he established a state-owned co-operative to act as a substitute for corporation, which he relentlessly propped up with government's fund. He also created grocery stores that would deliberately sell food below market value in order to make food and other products cheap in the country. He was also doing this to run the capitalist alternatives out of business. He was by then getting tired of the capitalist community. As if not satisfied, he introduced the Bolivarian policy, even after he had renamed the country from what was used to be the Republic of Venezuela, to the Bolivarian Republic of Venezuela (Simon Bolivar was one of the past leaders of Venezuela and Chavez had found love in his political ideology of a socialist state). The policy was the over-all nationalization of both the indigenous and foreign companies in the country. So, Venezuela was to be run solely by Venezuelans without foreign investors especially the oil firms which he used this policy to totally withdraw from Venezuela's crude exploration. America's oil companies were largely affected by this Bolivarian policy. Healthcare was also one of his priorities. His ally with Cuba helped him a lot in bringing medical experts to Venezuela in exchange for crude-oil. This stabilized Venezuela’s medical system thereby making Chavez to be a force to reckon with, particularly with his help to many countries especially the Castro's Cuba. However, despite Hugo Chavez’s plans and desire to enrich the common man in Venezuela, he had been criticized for being too ambitious. This is because while the lot of the people did improve by some metrics, even those ideologically sympathetic to him knew that he had done more damage than good to the economy of Venezuela. It is believed that he left the country worse than he met it. For instance, between 2007-2010, private investment dropped drastically by a margin of 43% and the country's currency, the Bolivar, down 66% in value since 2008 leading to major scarcity of goods, an inflation of a stunning 23%. All these economic deficiencies still remain what Chavez left of the economy. And they have been ascribed to his nationalization policy which chased away foreign investors without restructuring the economy into a manufacturing economy. With large dependence rate on imported goods, the government wasted large sum of money on this policy. Moreover, Venezuela's economy under Hugo Chavez was also, majorly dependent on crude oil which accounts for almost 100% of the country's revenue, and funny enough, the government was obviously neglecting the problems in the industry; And this at a time led to oil-workers demanding for a change in government attitude, to shift focus critically to the plight of the industry and stop being wasteful abroad. Instead, Chavez decided to sack these workers leaving the only source of capital for the country in a moribund position. Again, during Hugo Chavez’s reigns, Venezuela's debt seemed to have ballooned to an un-imaginable figure. The country's 34billion dollars debt incurred from China was being serviced with 200000 barrels of crude oil out of the 600000 that was exported to the country. Also, the country is said to be in debt of about 150billion dollar at present. From the political point of view, Hugo Chavez has been described by many as another Hitler in the South-American region. He was actually a blunt socialist, a good friend of Cuban socialist state and a hater of the Jews in Venezuela. He was said to have seized the media in order to put fierce brand of its political ideology on the people. His popular slogan was "Motherland, socialism or death". 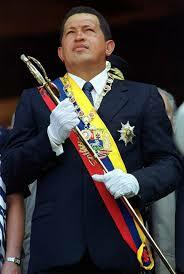 Besides, spending fourteen long years in power would amount to calling Hugo Chavez a political dictator. According to his opponents, he had hijacked the judicial power and used his authority to threaten the existence of the opposition while his seizure of the press was seen as a way of avoiding political criticism from oppositions. His regular T.V series was also referred to as a propaganda tool to enchant the Venezuelan's publics closer to his political ideology without giving room for transparency. Finally, Hugo Chavez could be described in many ways, certainly more than what is being relayed around by Hippocratic communities whose major concern is to diplomatically find a means of coming back to oil-rich Venezuela. He was a good man of course… a man with pure heart and selfless character who shares the pain of his people despite being at the top of affair; one that many country might need his humanitarian features to their people. But one thing would definitely dent his image: his carelessness. He was careless about what happens to the next generation of Venezuela. He was only concerned about his generation, spending so much without planning for the future, without considering Venezuela as a manufacturing state and critically chasing away investors that would have helped him to achieve this. No wonder Venezuela now has a dilapidated economy! No wonder there was goods shortage in Venezuela. No wonder crime rate now tows up in Venezuela. No wonder his political enchantment still reigns and his socialist ideology would still blindfold Venezuelans towards capitalist development! Hugo Chavez was a good man, but my conclusion is that he lacked foresight and Venezuelans, especially the poor, whom he had fought for throughout his life, would soon know this, judging from the danger that is looming their economy after Chavez's death.